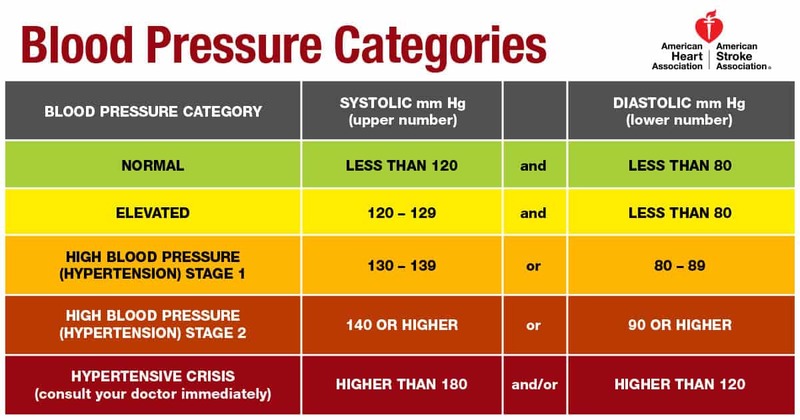 The Preventive Cardiovascular Nurses Association (PCNA), along with the American Heart Association, the American College of Cardiology, and eight other organization, released updated guidelines today that redefine high blood pressure, or hypertension. The lower definition and new categories are designed to help people become aware of their risk earlier. Early intervention will in turn decrease complications associated with rising blood pressure levels. With the implementation of the new categories, it is estimated that the percentage of the population with hypertension will rise from 32 to 46%, but that there will be only a small increase in the number of individuals who require medication. The guidelines recommend that individuals with Elevated or Stage 1 hypertension that are otherwise healthy make lifestyle changes to reduce their blood pressure. Regular exercise, a low-sodium diet and weight loss can result in a significant drop in elevated blood pressure readings. A panel of 21 scientists and health experts analyzed more than 900 scientifically-sound research studies and made new recommendations based on the findings that elevated blood pressure leads to an increased risk of heart disease, stroke, and other series health issues. Nurses and advanced practice nurses are ready to meet the challenge of implementing these new guidelines. Nurses regularly apply behavior change principles and strategies, including shared decision-making when educating their patients to help reduce their primary and secondary cardiovascular risk. Patients benefit greatly from nurses being able to see them more frequently and for longer periods of time. Regular follow up helps to support patient’s efforts at lifestyle change, monitor effectiveness of treatments and medication adherence. “PCNA is here to support nurses, with professional and patient education resources, as they implement these new guidelines and assist patients to make critical lifestyle changes,” said Jo-Ann Eastwood, PhD, CNS, ACNP-BC, FAHA, FAAN, PCNA President.